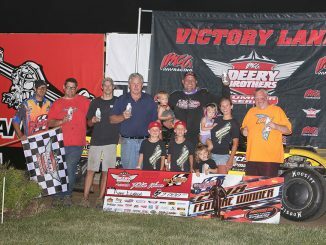 VINTON, Iowa (June 22) – The Deery Brothers Summer Series makes a much anticipated return to Benton County Speedway next Thursday night. 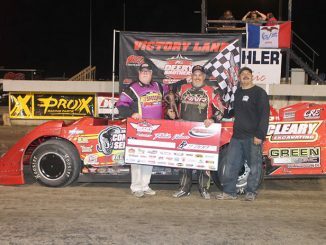 Touring IMCA Late Models race for $2,000 to win and a minimum of $300 to start the June 28 main event, which headlines the county fair show in Vinton. Pit gates and the grandstand open at 5 p.m. Hot laps are at 6:30 p.m. and racing begins at 7 p.m. The series has made just two previous visits to BCS, which can stake a claim to fame as the site of Darrel DeFrance’s first series win. The Marshalltown driver has competed at all 484 series events to date and cap­tured that first victory at Vinton on July 14 of 1988. Rob Toland of Colona, Ill., prevailed when the tour returned for a July 21, 2005 show. Spectator admission is $15 for adults and $5 for kids. Pit passes are $30. Completing the midweek card are IMCA Sunoco Stock Cars, IMCA Sunoco Hobby Stocks and Karl Chevrolet Northern SportMods. 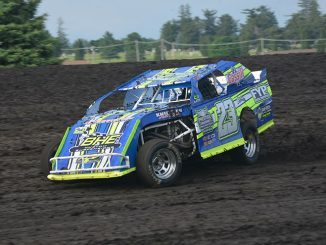 IMCA Speedway Motors Weekly Racing National, regional, Iowa State and track points are at stake. Point leader Justin Kay of Wheatland topped last year’s finale and the first three Deery events this year to match the series record of four consecutive wins. Curt Martin of Independence and Andy Eckrich of Oxford were the most recent Deery winners. Deery Brothers Summer Series top 20 point standings – 1. Justin Kay, Wheatland, 207; 2. Ryan Dolan, Lisbon, 185; 3. Jeremiah Hurst, Dubuque, 178; 4. Joe Zrostlik, Long Grove, 174; 5. Chad Holladay, Muscatine, 172; 6. Todd Cooney, Pleasant Hill, 171; 7. Nick Marolf, Moscow, 169; 8. Curt Martin, Independence, 168; 9. Matt Ryan, Davenport, 138; 10. Tim Simpson, Iowa City, and Cayden Carter, Oskaloosa, both 120; 12. Rob Moss, Iowa City, 116; 13. Darrel DeFrance, Marshalltown, and Terry Neal, Ely, both 115; 15. Andy Nezworski, Buffalo, 113; 16. Andy Eckrich, Oxford, 111; 17. Chad Coyne, Orion, Ill., 104; 18. Eric Sanders, Sherrard, Ill., 100; 19. Chuck Hanna, Port Byron, Ill., 79; 20. Sam Halstead, New London, 78.